Photoshop is a universally accepted photo editing software that can make a photo editor’s life a lot easier. But it can also give you a hard time when you encounter some of the errors that occur out of nowhere and stop you from using Photoshop. This article sheds light on some of the errors in Photoshop and also guides you to optimize Photoshop to make it perform better. The above-mentioned error is common in Photoshop CC. This error shows up when you are trying to access Performance Preferences. The solution presented here will fix an integer between 96 and 8 is required error, only if you have previously added an OverridePhysicalMemoryMB DWORD key to the registry. 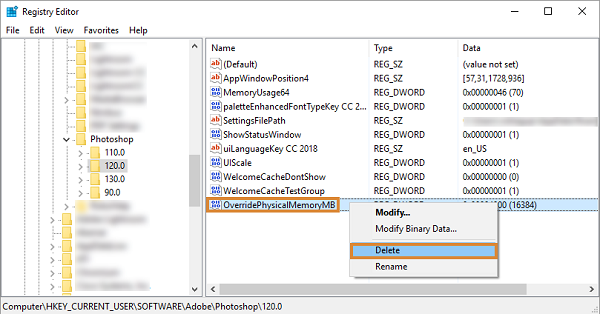 Removing the key from the registry will allow the Photoshop to make use of the physical memory instead of registry override. Before proceeding to the solution make sure that you take a backup of your Registry. Press Windows + R to open the Run dialog, type exe and enter. If you are asked for confirmation or an administrator password confirm or provide a password and proceed. Right click on the OverridePhysicalMemoryMB DWORD key that you had created earlier, Click on Delete and confirm. This solution will fix the error an integer between 96 and 8 is required only if registry key has been added before. If you are a regular user of Photoshop there are other errors like PSD file not opening, to fix corrupted PSD file you can just click on the hyperlink provided. Note: Before proceeding to the solution make sure that you take a backup of your Registry. 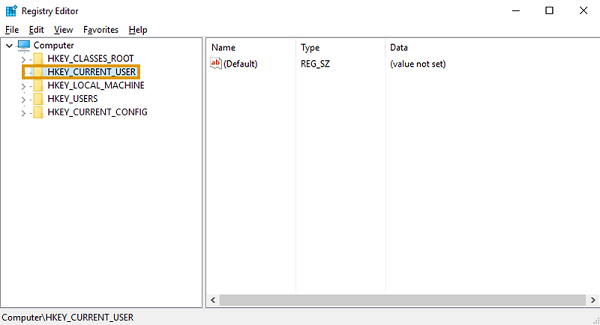 Press Windows + R to open the Run dialog and type exe and enter. Depending on the version of your software, right-click on the folder mentioned in the above image and select New > DWORD (32-bit) Value.Name the newly created key as OverridePhysicalMemoryMB and hit Enter. Right-click on the new key and select Modify option from the menu. 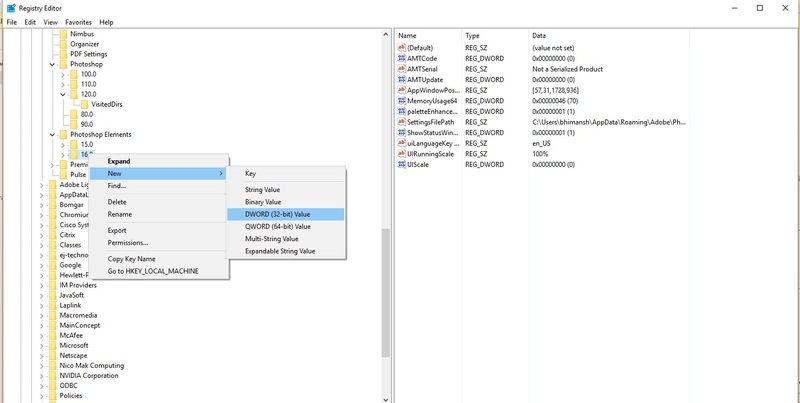 In value data text box you can change the value from 0 to any number of Megabytes or Gigabytes that reflects your system memory. The above solution will fix the error an integer between 50 and 8 is required in Windows 10. This way of manually specifying the memory space for a software will also enhance the performance of Photoshop Elements. At times you might see your Photoshop working very slow while you try to perform some operation. This might cause damage to your Photoshop file while it is being rendered. This leads to one more painstaking process of repairing Photoshop PSD file. Photoshop CC is the most powerful imaging software, it is capable of performing well if the right performance preference is set. Yes, you read that right there are ways to optimize the performance of Photoshop CC. Photoshop provides a few sets of preferences like memory, cache, graphics processors and displays. They can be used in optimizing Photoshop CC to perform better. You can set preferences based on the way you use the Photoshop CC. The amount of memory allocated to Photoshop will play a major role in deciding the performance of Photoshop. 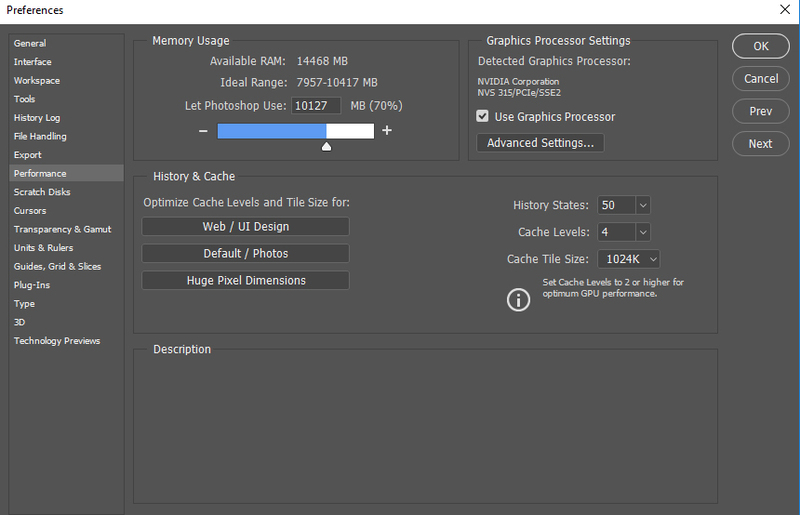 You can see the memory usage area by going to Performance preferences where you can find out how much RAM is available to Photoshop CC and an ideal RAM allocation for your system to optimize Photoshop CC perform better will be shown. By default RAM allocation for Photoshop CC is at 70%, you can increase this number in Let Photoshop Use box and adjust the memory usage slider accordingly. Restart Photoshop to enable your changes. It is recommended not to increase the RAM allocation to more than 85% as it can affect other system performances. Increasing the cache levels is another way of optimizing Photoshop CC for better performance. Though increasing cache levels improves the responsiveness of Photoshop, images tend to take a lot of time to load. Web or UI design: You can choose this option if you are a user who mostly works with web, apps or screen designing. 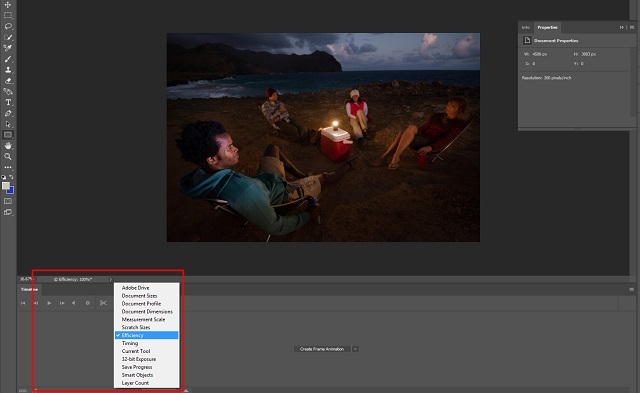 Default or Photos: You can choose this option if you use Photoshop to edit or retouch moderate size images. Huge Pixel Dimension: This option lets you work extensively on heavy documents in Photoshop. By default, the cache level is 4 if you use small files you can set it to 1 or 2. If you use high dimension photos then set the cache level more than 4. Manage GPU Settings: A separate dialog for GPU settings is provided by Photoshop in the preferences dialog. If a suitable video card is present in the system, the GPU settings will appear in the performance section. You can fine-tune the graphics cards performance by clicking on advanced settings and select Basic, Normal and Advanced based on your requirement. Basic: This option lets you make very little use of GPU. You can choose this option if you have other applications making use of GPU. Normal: This is a default option in Photoshop, where it makes the most use of the GPU. If you are a user who normally uses Open GL features, this option suits you. Advanced: This option is similar to that of Normal mode as it utilizes the same amount of memory as the Normal mode but this mode enables more advanced features to enable enhanced drawing performances. This option is best for working with 3D like extensive work. 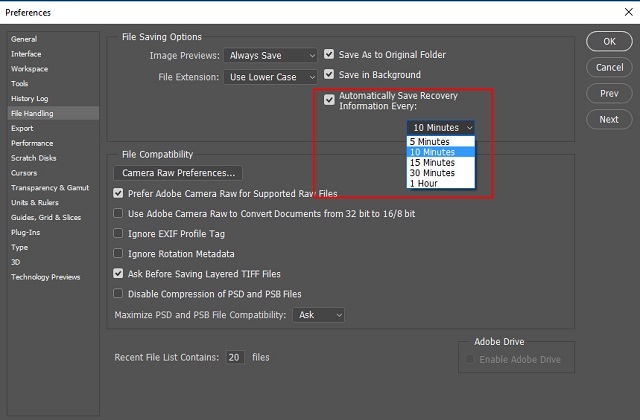 Automatically Saving Recovery Information: “Automatically Save Recovery Information Every n sec” is an option available in Photoshop which lets you work on the file while Save and Save as commands are performed. The Save in Background option is enabled by default in Photoshop. When you are performing normal Photoshop operations this Save in Background option does not affect the performance of Photoshop. When you are working with large files which makes complete usage of your RAM, the performance of Photoshop will be affected. In order to optimize the performance of Photoshop, go to Preferences->File handling there you can decrease the frequency of Automatically Save Recovery Information Every n sec. Scratch Disks: Scratch disks are memory space dedicated to temporary storage only. These disks cannot be used to permanently backup files and these disks are usually used in graphic design programs like Photoshop. If you manage Scratch disk properly it will directly affect the performance of Photoshop. By default, external hard drive on which operating system is installed is used as a Scratch disk in Photoshop. To improve the performance of Photoshop set a hard disk with most unused space as a Scratch disk. Efficiency Indicator: There is a feature called Efficiency Indicator that the lets you see the efficiency of Photoshop while you work on it. If the indicator value is less than 100%, that means Photoshop is using your RAM and Scratch disk completely and hence the performance of Photoshop is slow. If the indicator value is less than 90%, consider allocating more RAM to Photoshop or add more RAM to the system to optimize Photoshop performance. Photoshop Fails to Launch due to Permission Issues! Know Why?